confirmed for the 2019 San Diego Writing Workshop. At the 2019 SD workshop, he will be teaching on picture book writing, and also offering picture book critiques for attendees. He’s an SCBWI member, and recently sold his first short story to Highlights for Children. Henry also moderates author panels at literary and comic conventions. Lisa Brackmann is the NYT best-selling author of the Ellie McEnroe trilogy (Rock Paper Tiger), and suspense novels Getaway, Go-Between and Black Swan Rising, which takes place here in San Diego. At the 2019 SD event, she will be teaching on writing mystery & thriller. She will also be doing attendee manuscript critiques in the genres of suspense, thriller, crime, and mystery. Her books have been nominated for numerous awards, including the Strand Critic’s best-first-novel and Amazon’s Top 100 Books of the Year and Top 10 Mystery/Thrillers. Her work has also appeared in The Wall Street Journal, Travel+Leisure, Salon, LARB, and CNET. She lives in San Diego with a cat, far too many books and a bass ukulele. 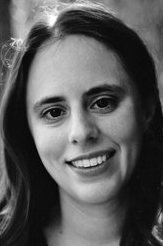 Marni Freedman (BFA, LMFT) is a produced, published, and award-winning writer. At the 2019 workshop, she is teaching on memoir writing, and critiquing memoir, literary fiction, historical fiction, women’s fiction, and upmarket/mainstream as an add-on element for writers. After graduating as an award-winning student from the USC School of Filmic Writing, Marni began her career with her play, “Two Goldsteins on Acid,” which was produced in Los Angeles. She worked as a script doctor for top film companies and worked as a script agent for The Seymour Agency. One of her plays was made into a film, “Playing Mona Lisa,” and was produced by Disney. She teaches at San Diego Writers Ink, UCSD Extension, The Center for Creative Aging, runs the successful San Diego Writers Network and produces a yearly theatrical Memoir Showcase. Her first book on writing, 7 Essential Writing Tools: That Will Absolutely Make Your Writing Better (And Enliven the Soul) was recently published. Her next book, The Memoir Map, was released in November 2017. You can also find Marni at thefeistywriter.com, a writing hub to help writers find and believe in their authentic voice. At the 2019 SD conference, she is teaching on romance writing, and doing critiques for romance writers. Her books have been featured in various national and international venues and she has had two books named Red-Hot Reads in Cosmo magazine. She is a four-time RITA® Award finalist in romantic suspense (for Mr. and Mr. Smith, Facing Fire, Guarding Mr. Fine and The Fixer) and is 2018 RITA® Award winner for The Fixer. She’s also a Reviewers’ Choice Best Book Award winner in romantic suspense for The Fixer. In addition to writing, HelenKay is the president of the Romance Writers of America and frequently teaches workshops and classes on fiction writing and romance writing. At the 2019 SD workshop, Sandra will be taking pitches from attendees and also teaching on nonfiction book proposals. Faculty member Frankie Mallis is a professional freelance editor and doing add-on critiques for science fiction and fantasy at the 2019 SD event. Frankie is a veteran freelance editor, and her work was formerly represented by the Andrea Brown Literary Agency. Unlike other editors at the workshop, Frankie will not be present at the SD event. Instead of meeting with her for 10 minutes at the event, she will be doing 10-minute Skype/phone calls for any critiques, and also passing along written notes via email. At the 2019 SD workshop, she is teaching on query writing. She is also taking one-on-one pitches from attendees. Kimiko Nakamura is a literary agent with Dee Mura Literary, and a co-coordinator of the 2019 San Diego Writing Workshop. At the 2019 SD workshop, she will be teaching on revision & self-editing. A graduate of Skidmore College and Boston University’s Book Publishing Program, Kimiko worked within Shambhala Publications and Harvard Common Press before becoming a literary agent. She partners with aspiring and published authors alike, enjoys well-worn library books, and is always up for a game of Scrabble. She loves projects that reimagine what’s possible, characters with something (or nothing) to lose, unique viewpoints, trailblazing heroines, and anything with elements of magical realism. She represents memoir writers. At the 2019 SD workshop, she is teaching on writing professionalism. She is also meeting with attendees for one-on-one pitches. At the 2019 SD workshop, she is meeting with attendees for one-on-one pitches. She is also teaching on how to hook an agent. At the 2019 SD workshop, she is teaching on writing science fiction & fantasy. She is also meeting with attendees for one-on-one pitches. She is seeking: literary fiction, women’s fiction, fantasy, sci-fi, crime novels, and young adult sci-fi & fantasy. Jeniffer Thompson is a personal branding expert, digital marketing strategist, and publishing consultant with more than 20 years experience in the publishing industry. At the 2019 SD workshop, she is teaching on branding and platform building. Jeniffer is an author and speaker who delivers strategy-rich content and actionable tools that educate and empower authors. She is passionate about helping authors establish highly visible brands that sell books. She is a co-founder of the San Diego Writers Festival; she serves on the boards of Publishers and Writers of San Diego, and the San Diego Memoir Writers Association. She is also the founder and principal at Monkey C Media, an award-winning design firm specializing in book packaging, author websites, and digital marketing strategies.